Known for its many wine trails as well as access to the scenic Appalachian Trail, Cumberland Valley unveils something new, a trail designed for craft beer enthusiasts and newbies alike – the Cumberland Valley Beer Trail. Due to the increase in beer tourism, breweries and pubs continue to open up throughout the country, and the Cumberland Valley is no exception. Located near the middle of the Appalachian Trail, the Beer Trail offers plenty of opportunities to tap, tour and try a pint. 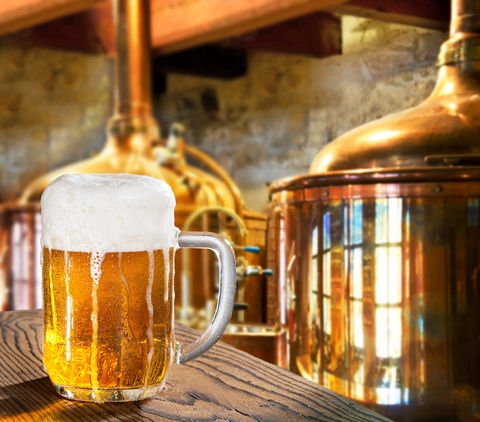 In addition to trying new brews, this unique and scenic Beer Trail allows visitors and residents the opportunity to support local businesses and enter drawings to win free prizes. Using your Cumberland Valley Beer Trail Passport, you will visit and collect stickers from participating locations. Once your passport is full, you submit it via mail or email to be entered into a quarterly drawing giveaway with prizes such as gift cards, t-shirts, coupons, and more! Click here to access a map and list of the Beer Trail’s 23 participating breweries and restaurants and to download your own Passport. Other area services are working together to promote this new experience. For example, Unique Limousine has partnered with the Cumberland Valley Visitor’s Bureau so you can experience the Beer Trail responsibly, by offering transportation to your preferred stops within a certain time frame. At the end of the trail, you’ll need a place to rest. Conveniently located in downtown Carlisle, we warmly invite you to come back to the Carlisle House Bed & Breakfast for a refreshing night’s sleep in one of our beautiful guestrooms. Then start the day out right with a steaming hot cup of joe (or tea) and one of our delicious, homemade-to-be-remembered breakfasts in the morning. We look forward to helping you plan your stay! This entry was posted in Attractions and tagged beer, trail by admin. Bookmark the permalink.